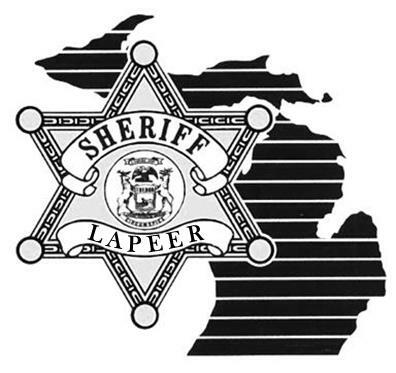 Lapeer County Central Dispatch | To provide and ensure twenty-four hour exemplary Public Safety Communications service for the citizens, communities, and public safety responders of Lapeer County. Our national defense from external threats is provided by the Department of Defense and our esteemed branches of the military. They guard us against foreign threats by nation states and terrorists by bringing what we call “force projection” to the world outside of our borders. We carry the fight and our defense, to them, our foes and would be enemies. We do this as a national strategy to prevent any conflict from occurring on our shores. In no small part and many personal ways, our nation’s civilian law enforcement guards and protects the populace in an equally meaningful and vital way. They are a force projection within our communities. You, our officers are always on patrol with a watchful and caring eye looking out for the well being and safety of our local communities. You stand at the ready to serve and protect your families, and your communities from those who would do us harm. You are on the front lines, our streets, and highways, watching over us and caring for us when we are in need. From helping someone down on their luck to find a place stay for the night or to get a meal, to just being that one person who gives a lending ear to someone who is having a rough emotional time while providing them a shoulder to cry on when there was no one else, you are always there for us. You are there to investigate crimes and bring criminals to justice. You help provide that force in the legal system which brings closure to families who’ve been affected by heinous acts of incivility. You are the torch bearer who helps guide a light of peace and civility where there is none. You are there to help deliver a new life into this world, and you are also there when life departs this world. You see all facets of society and are there to shoulder the burden it brings. You ensure that balance, common good and prosperity are effectuated for all in our pursuit of happiness. You put your lives on the line every single day and sometimes you have to give your lives to save an innocent citizen’s life. It is because of your sacrifices, your commitments to duty, to family and to the community for which we are all thankful. On this National Law Enforcement Day, 2019, I wish to express my gratitude for your services to our communities and our nation. On behalf of myself and all of the people at Lapeer County Central Dispatch, thank you. We’re hiring for a Communications Specialist position. Click here to get the job description and application. There have been reports of a caller ID spoofing incident using “911” as the callback number here in Michigan. A bad actor using 911 as the caller ID called a citizen and said that someone in their family had been in an accident and started to ask for personal information. The citizen called her family member and found out they were fine. If you get a voice call from 911, it will NOT be on a 911 line. If the 911 center calls you, it will always be on a 10-digit line, not a 911 line. The only time that the digits 911 will show up as an incoming communication will be via a text. If you receive a call from someone who says that they are from 911 or other public safety department (police, fire, or EMS), ask them for the number they can be reached at and call them back. Never give your social security, credit card, or insurance information over the phone. We’re launching a newsletter designed to provide you with handy information and tips on how to better protect yourself from online threats. Some of those threats include, malware, viruses, advertising tracking and more. Online threats are real and changing rapidly everyday and its important to take active steps to protect against them. the bad guys are out to steal your identity and your money or even use you to attack other online entities for money, social and political aims. On 02-15-2018, at approximately 6:29 pm, Lapeer City units responded to Nepessing St. east of Saginaw St. for a reported traffic crash with injuries. The investigation found that a 65-year-old male from Metamora, Michigan, driving a 2010 Honda Fit, was traveling West on Nepessing St. The vehicle left the westbound lane and entered on to the sidewalk located on the North side of the roadway. The vehicle struck a pedestrian that was walking Eastbound on the sidewalk. The vehicle continued traveling west along the roadway and impacted a tree located on the north side of Nepessing St. The driver of the vehicle was transported to the McLaren-Lapeer Region Hospital by ambulance with non-life threatening injuries. The female struck by the vehicle was found deceased at the scene. She was identified as Heather Anna Chambers, a 39-year-old female from Lapeer. It is unknown at this time what caused the vehicle to leave the roadway. There are indications that the vehicle was traveling at an excessive speed after leaving the roadway. At this point in the ongoing investigation, it is not believed that alcohol was a contributing factor. The incident remains under investigation. We are now a Smart 911 center and are capable of receiving more detailed and enhanced information about our callers who sign up for the free Smart 911 service. This is a free service to the citizens funded by the State of Michigan and allows you to provide 911 with as much or as little information about yourself as you’re comfortable with. Information such as your home address, any medical issues, family members, next of kin, important contact phone numbers, pets, vehicle information and much more. 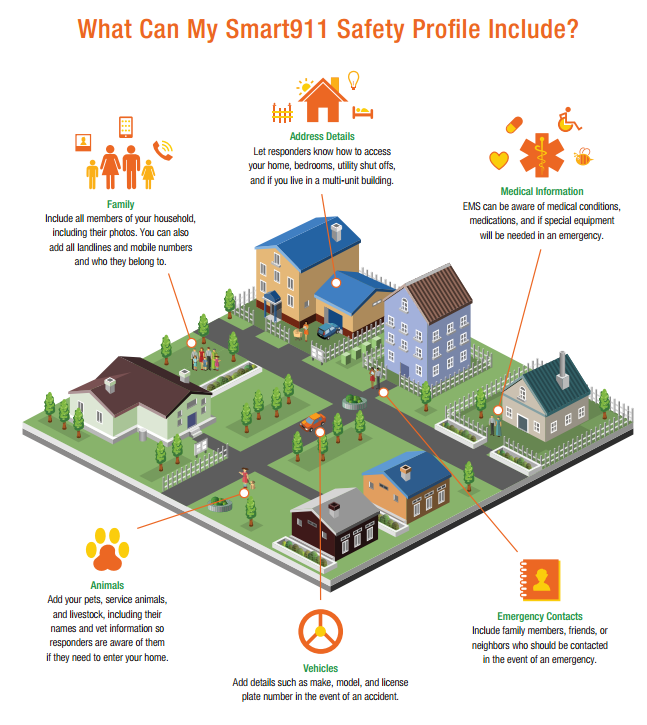 All of this information is used by 911 operators to help you when you have an emergency by providing additional information about yourself that can help first responders when they come to your aid. Your information kept private and secure on Smart911.com and can only be accessed when you call 911 and only for the duration of the call. The service works not only in Lapeer County, not only in Michigan but anywhere you are in the United States. 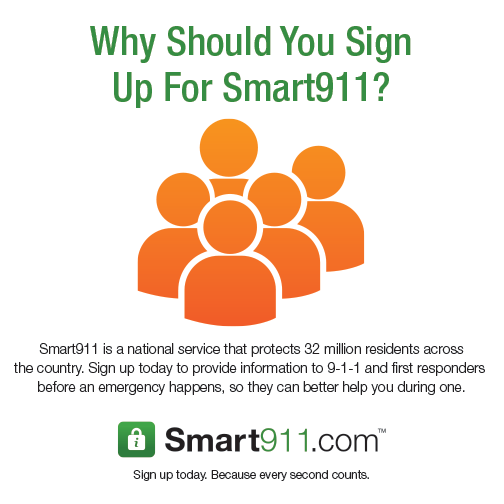 If you call 911 anywhere in the country and that 911 center is set up with Smart 911 they will receive your profile information as well. On Monday 10-02-2017 at 5:12 PM, Lapeer County 911 dispatched Lapeer County Sheriff’s Deputies to the intersection of N. Lapeer (M-24) and Davis Lake Road in Lapeer (Mayfield Township) for an injury traffic crash involving a motorcycle. Paul Scott age 70 from Lapeer was the rider of a 2016 Harley Davidson Motorcycle. Paul Scott was traveling west on Davis Lake Road and entered the intersection (traveling straight thru) with a green traffic light for his direction of a travel. An 82 year old male from Fostoria was traveling north on Lapeer Road operating a 2017 Dodge Ram 1500 series pickup truck. Witnesses reported that the pickup truck entered the intersection with their direction of travel having a red traffic light. The collision occurred within the intersection and is considered broadside. The motorcycle traveled north from the intersection and came to rest within the roadway. The pickup truck traveled northwest across the yard and parking lot of the Security Credit Union before coming to rest on the sidewalk near the building. Paul Scott was transported to McLaren in Lapeer by Lapeer County EMS Ambulance Service. Paul Scott was pronounced deceased shortly after arriving at McLaren. Paul Scott was not wearing a helmet. The 82 year old male from Fostoria and his 82 year old wife (front passenger seat) were transported to McLaren in Lapeer by Medstar EMS with non-life threatening injuries. Preliminary investigation suggest that neither excessive speed nor alcohol are contributing factors. Once the investigation is complete, it will be presented to the Lapeer County Prosecutor’s Office.